Part of the commercial grade Unity Office Collection, the Unity 71-inch Executive Desk is designed to offer a large 6-foot worktop. 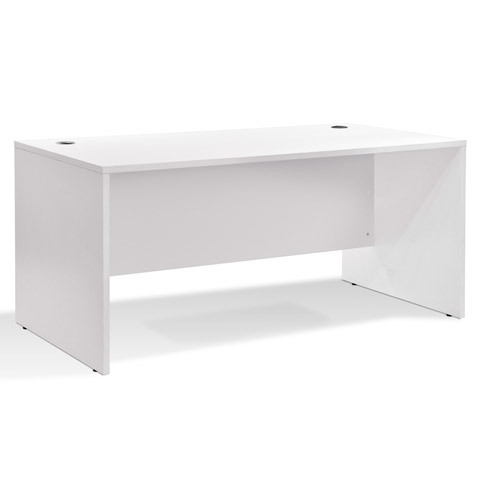 Intended for larger offices, the Unity 71-inch Executive Desk boasts all the essentials of a functional and ergonomic office desk including your choice of two durable laminate finishes, floor levelers and two wire management ports. Simple, clean and elegant, Unity is the perfect modular solution for your modern office! Unity includes a 5 Year Warranty.